A constant complaint from those involved in projects is that there is too much bureaucracy. A process has been set up and it must be followed regardless of the size or complexity of the project. One size fits all. This white paper covers some of the things to consider when deciding how much rigor to apply to a project. Projects are not just subject to checks and balances because it gives the Project Management Office something to do. Projects typically involve substantial sums of money and considerable risk compared with ongoing business activity. The cost to the company of something going wrong is likely to be significant. It is not like someone ordered an extra box of stationary. Business management rightly are concerned that time and effort, not to mention money, might be wasted. Usually an organisation develops a project methodology to protect themselves against possible failure. They have someone list out all the steps in a project or buy a methodology. Obviously the methodology is aimed at the biggest most complex projects. The trouble is that having taken that approach, the tendency is to apply all, or most of the process to smaller projects. The particular circumstances of a project are not taken into consideration. Alternatively there is a "big", "medium" and "small" version of the methodology. Once again, the focus is on size rather than a sensible level of project discipline for each particular project. To take an example of an IT project, small may be under $50k. If the project is to roll out an upgrade of the conference room booking system, should it be subjected to the same level of discipline as a change to the email server and firewall. If the booking system is down, you can revert to paper and nobody is too inconvenienced. If the email system is down, the company may come to a stop. I don't have a magic formula. It is more a decision that has to be made by wise heads based on a number of factors. Projects of similar budgets may possibly be managed in totally different ways. One may report to management weekly and another monthly. One may need senior approval for each phase and the other just move from phase to phase. One may require a full business case and another just an estimate of costs. There are a number of factors that need to be considered. If the project manager is inexperienced it is wise to have more oversight of what is happening. Documentation may be required that would not be required by a more senior person. For example, cost justification may need to be more detailed for an inexperienced person. It is a two edged sword. Documentation will not only prove the cost is justified. 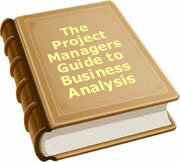 It will also teach the less experienced project manager to better analyse the reasons for the expenditure. Having gone through the process to create the document is more important than the end document. If the project manager is experienced and trusted in the organisation, he or she may be given more latitude to operate independently. They may not have to submit a cost justification for every little expense. People trust them on the small stuff. How risky is the project? If there is a high level of risk associated with a project, the level of documentation and the types of activities undertaken needs to be more formal. For a very risky venture, senior people may feel the need to sign off on each step. The project manager will need to make sure everything is done "by the book". It is not only to protect the project manager. It is also to ensure if there are problems or compromises, everyone is involved. Size is a factor. In most cases the bigger the project, the higher the complexity. Also the bigger the risk. Larger projects usually mean more stakeholders and the potential for conflicts and misapprehension. Bigger projects require more discipline. This is also related to risk. If you have completed similar projects in the past, you have the experience. If you are doing it for the first time, you are on a voyage that may take you in many new directions. Discipline and thoroughness is important. A project run internally by a single project manager is far easier to run than one where there are subcontracted parties involved. Coordination becomes a major issue and consequently there needs to be much more detail and discipline in the project. I am constantly amazed by project managers who say "Nobody is really interested in this project. I can run it as I want." If someone is not interested in my project, I will be pushing information down their throats. You can almost guarantee that when you get to the end of the project, one of those disinterested parties will suddenly decide the project was a total failure because it didn't deliver what they had in mind. The fact they never properly communicated this vision because they were disinterested is irrelevant to the reputation of the project manager. You will be associated with a project failure. Lack of interest is a sign to be more disciplined and provide much more detail to everyone at the project progresses. Many project managers who operate on contract go into an organisation that has no formal methodology and float along doing their own thing. Much better to use your own methodology and explain to people what is happening. More importantly explain to them why you are doing what you are doing. Explain in terms of benefits not features. "In order to minimise things going wrong during the project, we are going to hold a workshop to brainstorm all the things that might go wrong. We will come up with actions we can take to reduce the likelihood of it happening, or the impact if it does." Notice I did not use the word "risk" once in the explanation. Asking people to attend a risk assessment workshop is likely to get you a reputation of being a bureaucratic project manager. The feature is a risk assessment workshop. The benefit is minimising things going wrong. I am sure I will not get too many arguments about the points above. The question is how to make it happen. My suggestion is that you take your most experienced and senior project people, and have them review each project before it starts. Let them discuss with the project manager the level of rigor. What activities should be undertaken? What documentation should be produced? What reporting should take place? What QA events will be included? How often will reviews take place? Who will be involved on a steering committee? What contingency plans are there for staff turnover? These are just some of the questions to be asked, and decisions made. Assign a senior project manager as Project Mentor. Their role is to keep a watchful eye on progress and be a sounding board for the project manager. Just make sure the mentor has the capacity to undertake the watching brief. It will take some time and that time means something else has to be sacrificed. The level of discipline applied to projects is not meant to be the same for every project. Some will require more rigor than others. Consider all the factors above when deciding how disciplined the project will be. This is not an argument for no documentation or process. It is in fact an argument for having a flexible process that can be adapted to each project. The flexibility is not the prerogative of any project manager to adapt to suit their own situation - sometimes retrospectively. It is something that experienced project practitioners should manage. Just as no business process fits 100% of situations, no project methodology will fit 100% of projects. To date, 6 people have rated this article. The average rating is 4.00 - Add your rating. Just select a rating and click the button. No other information required.